I’ve long been frustrated with the misuse of the speeds known as Vx and Vy in pilot training. This article is an attempt to explain my reasons in a reasonably clear and entertaining manner. The opinions in this article are mine alone, and refer to the Bonanza. Most of the basic speeds are taken from John Eckalbar’s superb book “Flying the Beech Bonanza,” and some of the graphs were produced by David Rogers, Professor of Aerospace Engineering (Emeritus) at the United States Naval Academy in Annapolis, MD. Various textbooks and POHs cover Vx and Vy climb speeds, and some mention in passing “cruise climb.” Let’s “hit ‘em quick” here for reference. 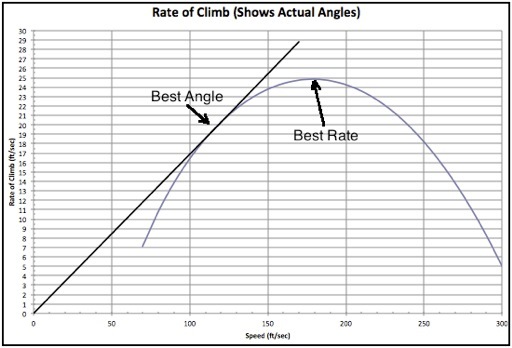 Vx is the slowest (IAS), and is the Maximum ANGLE of climb. It allows one to climb to altitude within the shortest horizontal distance. Vy is slightly faster, and is the Maximum RATE of climb. It allows one to climb to altitude in the shortest time. 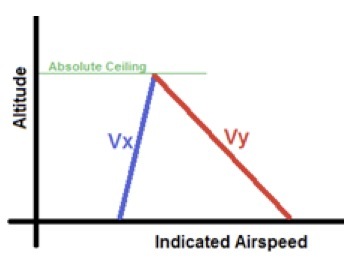 With increasing altitude, Vx increases slightly while Vy decreases, until they are the same at the absolute ceiling, where the airplane cannot go higher. All further references in this article refer to sea level, standard day. One way of determining these speeds is by flight test. 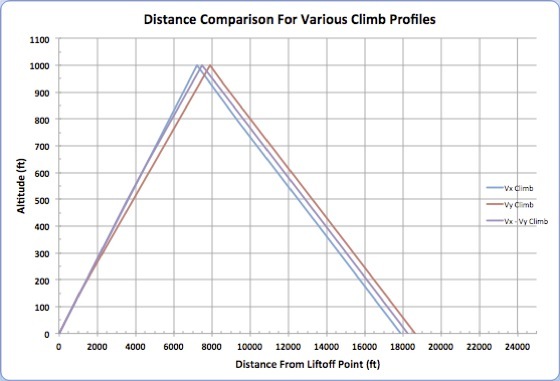 The best Rate of Climb (ROC) in a Bonanza is found at approximately 180 fps (107 knots), the “flat” part of the curve. A straight line is drawn from the “origin” or the “zero corner” (zero airspeed and zero altitude) and where it touches the curve is Vx. In some cases, the aircraft manufacturer puts those speeds somewhere in the POH, while some don’t even bother, for they form no part of the certification of the aircraft. They are not mentioned anywhere in my V35B POH. In my own time (which includes 5,000 hours or so of heavy-duty bush flying), I have NEVER seen a single case where either Vx or Vy was appropriate. They are what I call “Useless Speeds,” of interest to only those who study aerodynamics, and check pilots, who adore them. The graph above is interesting because it illustrates an important principle, but as a day-to-day tool it is 100% useless. Aeronautical Engineers know HOW airplanes fly. Seldom do the twain meet. Now, somewhere in any good POH, there will be a chart that tells the approximate distance to break ground, and perhaps a chart that shows the 50-foot distance, at various weights, temperatures, winds, slopes, etc. These can be useful guides to tell you if you can safely meet performance requirements on any given day. The CAA/FAA and CFIs everywhere have wrestled with this subject since the second flight of the Wright Flyer. The theory seems to be, “If there’s a V-speed, we must somehow use it in day-to-day operations, and it must be incorporated into the Practical Test Standards.” Hogwash. Some state that we should always use Vx to 1,000 feet above the airport after takeoff. Some call for Vx to 500 feet, then a shift to Vy to 1,000 feet. Some make a very big deal out of it. There are interminable threads on the subject on the Internet, with no real answers. 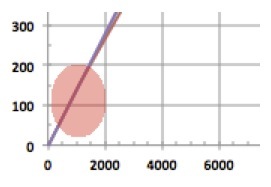 Dr. Rogers, at my request, has kindly plotted the TIMES to reach 1,000 feet above a sea level airport, on a standard day, using Vx (blue), Vy (red), and a composite (purple) of Vx and Vy, where he uses Vx to about 300 or 400 feet, and then transitions to Vy. Furthermore, he plotted the gliding time and distance assuming engine failure upon reaching 1,000 feet, and using best glide. These are the descending lines. This shows a total of only 7 seconds difference between Vx and Vy, arriving at 1,000 feet! You, the pilot, must decide which is “better,” but I think it’s like angels dancing on the heads of pins, with and without slippers. The difference between the two is approximately 600 feet. 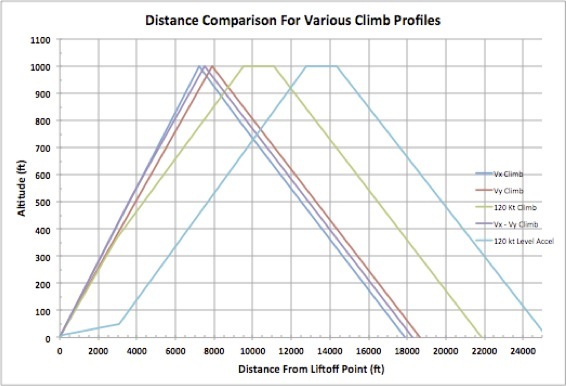 Using Vy in the climb, and Best Glide speed for the descent, you’ll be 600’ further away from liftoff. Effectively, this means a greater “Radius of Action” in the event of an engine failure. On both plots, the “composite climb” is right in between Vx and Vy. This demonstrates (to me, at least) that the usual heated argument is not worth the breath it takes. Furthermore, while I might grudgingly agree that it’s good practice to use these speeds in the absence of other factors, there ARE other factors that come into play, and in my opinion those are much more important. That area in red approximates an area where an engine failure will put you in a pile of flaming wreckage in most Bonanza-type aircraft. The laws of physics simply say, “you’ll crash” from that position, and there’s nothing you can do about it. If you’re in a glider, or a Cessna 140, that area is very small, or non-existent. But in a 300 HP Bonanza, your nose will be high enough that you’ll need a near acrobatic maneuver to keep from stalling, you will lose some speed, you’ll need to get the nose well down to keep flying, and you won’t have the “energy” necessary to flare for the landing. Further, the average reaction time to an engine failure is four seconds. With the nose positioned for a Vy (or worse, Vx) climb, the pilot is afforded little or no margin above stall after accounting for this time. 3. That nose-high attitude also blocks your view of potential landing sites. If your engine fails your hands will be full of airplane for a time until you get the airplane and yourself under control. Only then will you be able to take a breath, and look for a soft spot, your first opportunity to do so. This limits your choices. 4. 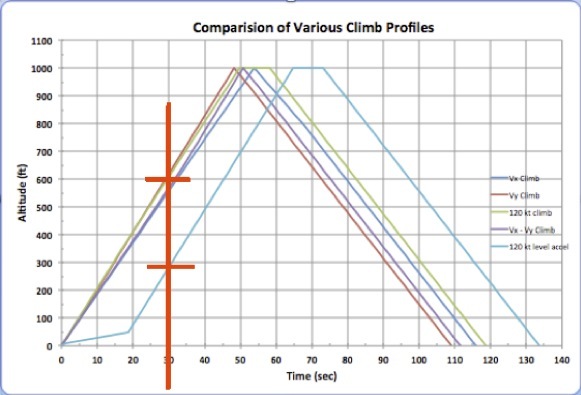 Climbing steeply at slow IAS (indicated air speed) will cause the CHTs (Cylinder Head Temperatures) to rise more rapidly, to go higher, and remain there longer. It may be a minor point, but it’s a point nonetheless. 5. Those passengers who are “nervous” do NOT like the nose-high attitude, and the fairly rapid transition to it that Vx and Vy climbs require. This is no small matter, and may in fact be the single largest reason to use a more gentle approach! The “modern” style of making takeoffs is distasteful to me. In the first place, the tailwheel is on the wrong end of the airplane! But never mind, I’ll talk about nose-draggers here, since they are the vast majority. The tendency is to accelerate “flat” with the nosewheel firmly on the ground, then, at the speed desired for the takeoff, the aircraft is “rotated” and lifted off, then flown at Vr for some period of time (or altitude), then accelerated to Vy. Variations exist! This will yield the performance illustrated above - approximately. There is evidence to indicate that “flat” acceleration is hard on the structure of the Bonanza, and may be a major reason behind the cracks that can be found in some Bonanza spars and spar webs. If true of the Bonanza, it may also be true of other types. A word (or two) about the word “Rotate.” This word was first used after we began flying swept-wing jet transports, and is a highly-defined term of certification which covers the technique of accelerating down the runway in a minimum-drag attitude to V1 (go/no go speed), Vr (rotate), with a precisely timed change in deck angle, which places the aircraft at a speed above Vmu (Unstick), and in an attitude which produces V2 at an altitude of 35 feet with an engine out, OR V2+10 with all engines operating. This “rotation” can cover a time period of up to 15 seconds. This produces maximum performance, and minimum runway used. Varying from this precise technique can have catastrophic consequences – in swept wing jets! My own oft-stated technique with any GA airplane is to allow the airplane to assume a takeoff attitude and let it fly when it wants to, just above the stall. What is the takeoff attitude? With a high-wing, it can be judged by the angle of the lower surface of the wing against the horizon. With a Bonanza, the nose gear oleo strut can be extended, a position that’s very easy to feel. This works very well with any nose-dragger, but calls for a tiny bit (say two tries) of experience with the tailwheel on the proper end. “Slightly tail-up” is about the best way I know to say it. The idea is to have enough airspeed to lift off gracefully, not so slow that you are danger of stalling, and not so fast that you’ll unnecessarily beat up the landing gear and structure. After the airplane lifts off (or, rather, gently flies itself off), holding exactly the same ATTITUDE will yield a very slight climb and fairly fast acceleration to a cruise-climb speed, usually reaching it near the far end of the runway at about 150’. I retract the gear as soon as I’m positive the airplane will not contact the runway. The “Flat Spots” at the top of the 120 Kt lines are the level decelerations from 120 Kts to “Best Glide” speed. 1. Due to the early increase in speed, the aircraft never operates in that red circle. There is no “frantic fumble” with the engine failure--just put the airplane back down--with small turns as necessary for the “softest spot” which has been in view the entire time. 2. You can see where you’re going all the time, and at least you’ll have a chance of missing other birds. 3. As you pass 200 to 400 feet, the view is all before you, and you can think, in the back of your mind, “I’d hate to land over there to my left in the city, straight ahead looks better, and there are enough open fields to the right to make a runway!” You can even start turning early with the engine operating normally, improving your position if it does fail! 4. Engine temperature will be cooler after the climb. Admittedly, this is a minor factor, but it’s a factor nonetheless. 5. Passengers love “my” type of takeoff! The liftoff is virtually imperceptible, there is no sharp nose-up to hold Vx or Vy, and the ground just seems to slowly fall away. If it’s your spouse along for the “first ride,” this may well help make the difference between a lifetime of sharing the joys of flight, or a lifetime of hearing nasty comments about flying “those dreadful little airplanes.” On the other hand, you may prefer…uh, never mind, lets not go there. There is one negative to “my” technique, and that is TIME. Say the actual engine failure occurs at 30 seconds after liftoff. In that 30 seconds, “my” technique will put you at 280 feet (and 120 knots), while the Vx/Vy climbs will give you about 600 feet (at a much slower airspeed). The Vy climb in this case will give you a choice of landing spots of about 500 to 1,000 feet more than “my” technique and I think that’s a small price to pay. As the maneuver progresses, the choices improve dramatically when “my” technique is used. I’ve used 120 knots because it “felt right,” beginning in 1956. As the airplanes (and I) got heavier, Vx, Vy, and my climb speeds have naturally gone up, first to 130 knots, and with the Turbonormalizer, to 140 knots. They are fairly close to “Carson’s Speed or Vz (most efficient in terms of fuel used), a factoid I discovered more recently. Now lets not go too far! One old Navy pilot I knew long ago loved to barely lift off, while simultaneously retracting the gear, and then holding the aircraft at that altitude until reaching 120 knots or more. Only then would he be begin to climb. We used to watch in anticipation of his getting a prop strike, but he never did. He was an expert pilot, albeit with some bad habits. By the way, the most efficient indicated air speed in terms of fuel used during a climb (Carson Speed) in a Bonanza at 3,400 pounds is approximately 126 knots. This is another discussion and not important here as this article is about only the first 1,000’ of climb. My conclusion from the above is that Vx and Vy are not appropriate on takeoff – ever. The very few times it appears to require these speeds, there is almost always a better way to get the job done. Moving on to a different, though related subject, I’d like to mention the so-called “Impossible Turn,” the nickname given to the turn back to the runway in the event of an engine failure. It is a required maneuver when going for the glider rating in case of a rope-break, or disconnection from the tow-plane or other device. The extreme gliding performance available in this type of aircraft makes it an easy and reasonably safe maneuver. They are very light, and wing loading is far below that of powered aircraft, where it’s a different story. Wing loading, weight, and power become major factors when added to the mix. In all of these, you CAN turn back to the runway; it’s merely a matter of knowing how high you must be, and the maneuver you must use for the conditions (Weight, wind, temperature, etc.). 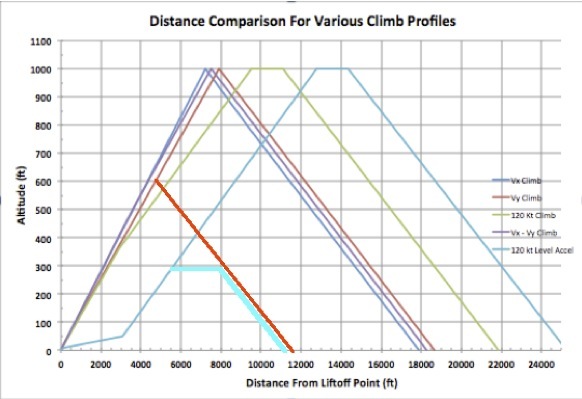 This altitude is different under different conditions, and very different for different types of aircraft! For all, to use the minimum amount of altitude, you must use a near acrobatic maneuver, including a steep bank (45°), and a sharp nose down attitude to keep the airspeed up. This will cause a phenomenon called “ground rush” by airshow pilots, and instinctively you’ll pull back on the yoke, resulting in a high-speed stall and disaster. Practicing this maneuver at, say, 2,000 agl will give you some rough numbers, but will not help with the visual picture or ground rush, which is terrifying. In order to be proficient at this, you must practice it at the altitudes you expect to use it, where any mistake is likely to be fatal. I don’t think it’s worth the risk of such practice, nor do I think it’s a good idea in reality. The old advice, “Land straight ahead” is equally poor, because there is often a building, or homes there. “Straight Ahead” really only applies when you’re still over the runway, or when the “best choice” is indeed straight ahead. When you’re “out of runway,” pick the softest, least expensive touchdown area you can get to with normal turns, and head for it. As you gain a little altitude, you can choose an area 30° on either side, a little more altitude and you can make a turn of 90°, and so on. But some make the very poor choice of fixating on the runway behind them, and they will almost always die.